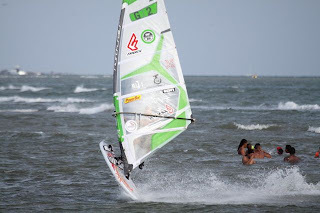 Andre Paskowski / Windsurfer / Blog: Wind! 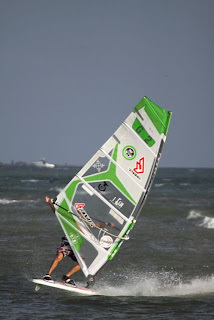 Today we had the first day of good conditions here in El Yaque. I was on my Ice 5.0 and Skate 98. All in all I had 2 nice hours on the water. The forecast looks also very good for the upcoming week so I hope we get some good training conditions. Igor (Rus-11) and Phil (Can-9) were also on the water. Both riders improved a lot during the winter so it looks like the level will be high again on the euro and world cup tour.